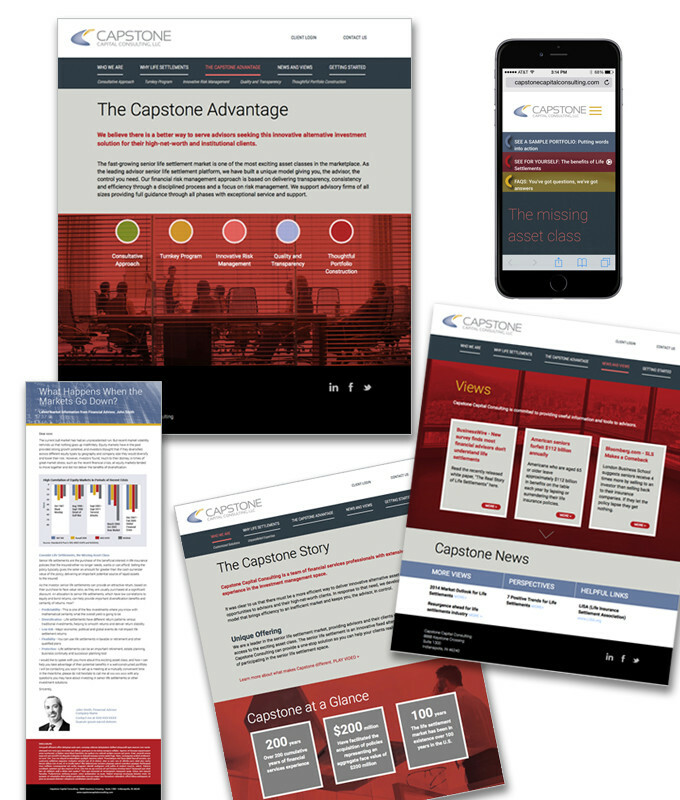 Capstone | Optima Group, Inc.
Capstone Capital Consulting is a provider of senior life settlement solutions to advisors serving the high-net-worth market, delivering transparency and structure to a very disperse, not uniformly regulated market that has suffered in the past from poor publicity. 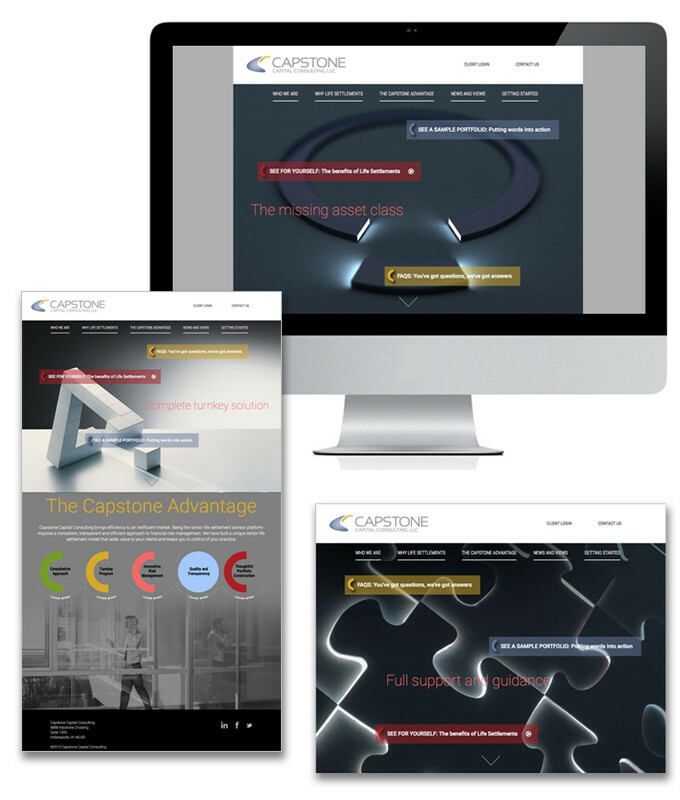 Optima Group developed a website look and feel, as well as content, that highlighted the role that Capstone Capital Consulting plays in bringing clarity and uniformity to this market. 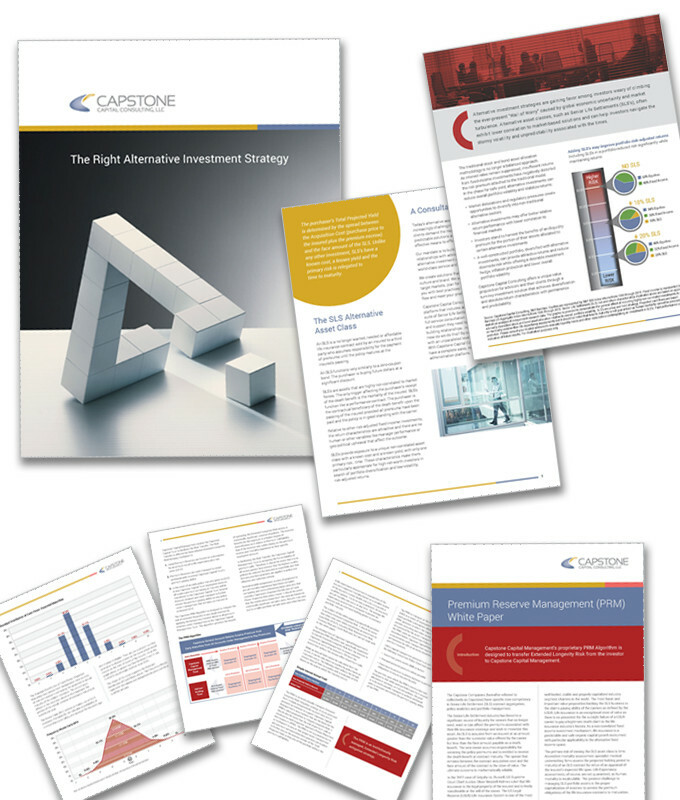 The look and feel developed was extended out to core marketing materials and thought leadership.